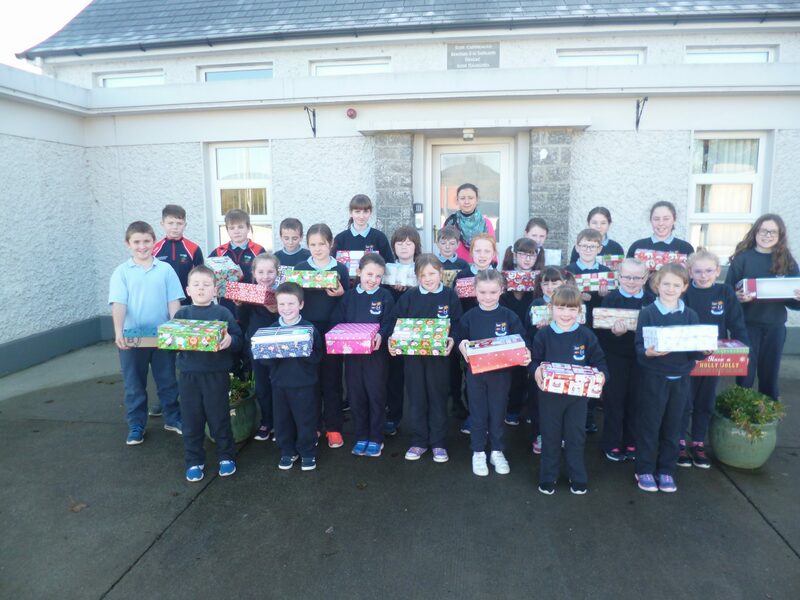 A big thank you to our wonderful pupils who supported the Team Hope Shoebox Appeal so generously again this year. There was great excitement when Ballagh NS were announced winners at the Scifest Science Fair in the CBS Roscommon recently. The students in 3rd to 6th class entered two projects in the competition. The winning project was entitled “Can video games trigger an adrenaline response?” and the scientists involved in this were Seán Rohan, Mark Cullen, Jasmine Gibbons, Niamh Hanley, David Cox and Ruairí Gibbons. Our second project “Does Tea and other substances stain your Teeth” was compiled by Lyndsey Gibbons, Rachel Trimble Higgins, Michéal Farrell, Áine Madden, Emily Ryan and Anthony Cox, This project was also very highly praised. Well done to all the students who presented their work in such a professional manner.